This superb botanical hair spray not only sets your style, but it also contains non-colouring henna extract and nourishing almond oil and jojoba oil to heal and repair your hair’s texture. This wonderful spray will improve the brilliance and volume of your hair while you are styling it, which is a miracle for fine and lifeless hair. It’s time for a new generation of hair spray. Gone are the old aerosol cans of the past, which contained a toxic substance that rendered the air unfit to breathe for five minutes after you sprayed your hair style! These chemical hair sprays would shellac your hair with a thick coat of varnish that was similar to what you would use as a weather treatment on outdoor furniture. Once it dried, your hair would be cemented with a sticky and immobile hard layer of gooey hairspray, which always feel terrible and look a long time to wash out in the shower. 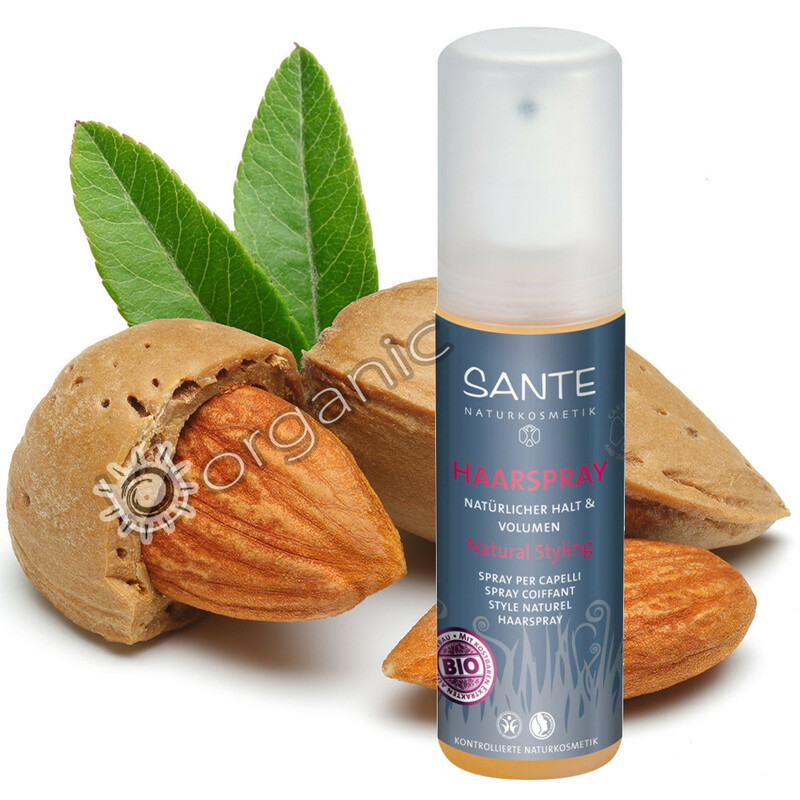 Those days are no more, because thanks to the innovation of Sante and the use of natural materials they have been able to create a hairspray that will hold your style in place while still leaving your hair soft and silky. Ingredients: Alcohol*, Aqua (Water), Shellac, Glycerin, Parfum (Essential Oils), Lawsonia Inermis (Henna) Extract*, Prunus Amygdalus Dulcis (Sweet Almond) Oil*, Simmondsia Chinensis (Jojoba) Seed Oil*, Potassium Hydroxide, Linalool, Geraniol, Citral, Limonene *- certified organically grown Key ingredients: Organic Jojoba, Organic Almond, Lawsonia Inermis (Henna) Extract.